Sellers Pay commission on a successful sale only. Pay Now will charge 1.95% on total transaction value. Sellers are Liable for any international transfer fees. Pay Now as payment method. Disbursement into local AU, US or UK bank account will be once a month(if has NZ bank account is daily disbursements). All funds, less any Pay Now fees, will be made to the nominated bank account on the first Friday of every calendar month. Payments will be made into NZD international bank account. Foreign exchange conversion rate will be taken from your related account. 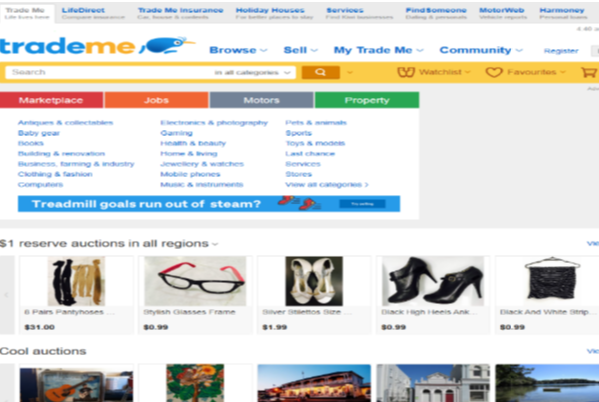 Trademe require a Local Return address for Returns. Items can be returned after the 30-day period in compliance with the relevant consumer legislation if the item is faulty or damaged. Common return time periods offers are 30, 60 or 90 days. You may require the buyer pay for return shipping costs. Buyer does return an defective item, you must cover the cost of return. Misrepresentation return(including the image) you must cover the cost of the return. Products from the UK & US delivered within 10 working days maximum 20 working days. Delivery should be FREE to anywhere in New Zealand. Offer standard delivery and provide tracking. Allow a further 5 working days from the last estimated arrival date for delivery to occur. Strong demand for branded products and products where genuine price efficiencies can be offered. Trademe can suspend your account anytime if they consider that your performance or if your product selection violate their general rules.